Extremely smooth mover. 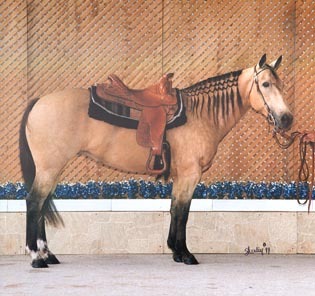 Excells in Western Pleasure, Trail, and Western Horsmanship. Very sweet laid back disposition. 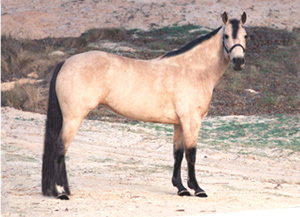 Can be ridden briddless ~ Gives hugs. Shown here for reference only, she is not for sale. 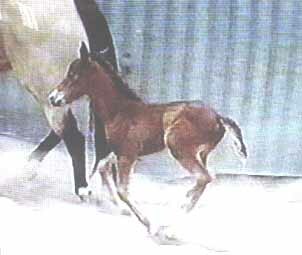 Honey Bar was Born in March of 1986 on the Marx Ranch. 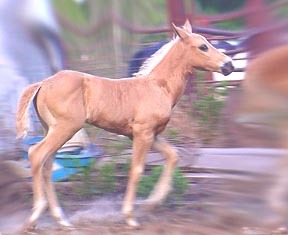 A little Buckskin Solid Paint Filly. 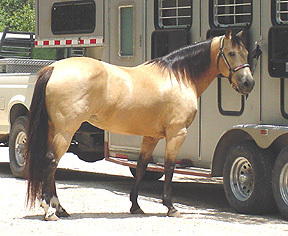 I always wanted a Buckskin...so six months later she was mine. Yep...I have had her since she was 6 months old and come this March she would have been 29. My Children learned to ride on her. 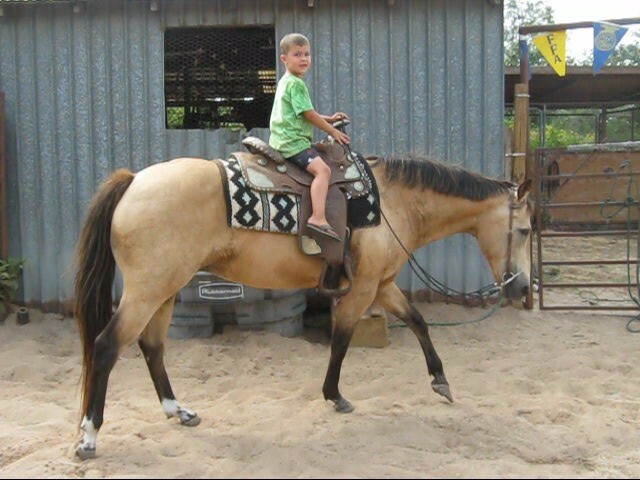 She was a 4-H horse and their mount for the Mesquite Youth Rodeo Association. They rode her up and down the road too. 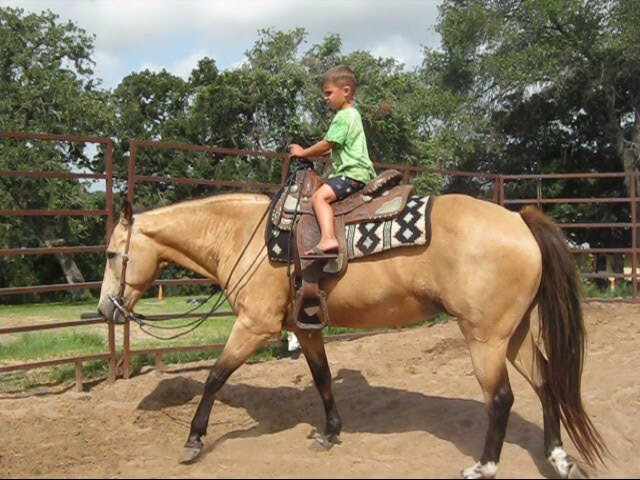 Later when the kids were no longer interested in riding, she bacame my first show horse. 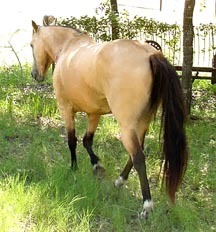 We also rode for hours up and down the road everyday, and she could be ridden bridle-less. I had never been to a show before and neither had she but she won first place in the trail class at our very first show ever. Needless to say she got me hooked on showing. She excelled in trail class competition and recieved many complements from the judges. She earned several Year End High Point Buckles as well. She was still plump and healthy and did not seam to suffer before she left us...it was just evidently her time to go.